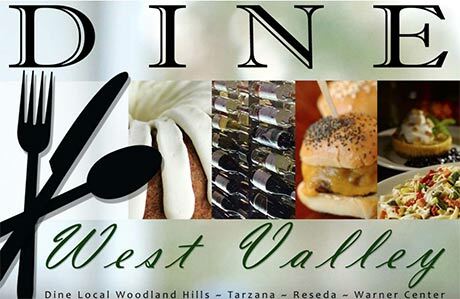 To encompass the enthusiastic neighboring community of Reseda, the Woodland Hills~Tarzana Chamber of Commerce changed its name to West Valley~Warner Center Chamber of Commerce in July of 2014. Reseda turned 100 in the summer of 2012. It originated in 1912 as the town of Marian. It was named after Marian Otis Chandler, the daughter of the Los Angeles Times publisher, Harrison Gray Otis, and later, the wife of Harry Chandler. In 1921, Residents convened and agreed to rename the town Reseda. The name Reseda itself refers to the fragrant plant that is native to the area. "Red Cars Line" and increased public transportation expedited development after the building of the Los Angeles Aqueduct. Later, it was used as the name of a stop on the Pacific Electric interurban railway running along Sherman Way. By 1950, Reseda had over 16,000 residents and in the early 1950s, a population explosion took place, making Reseda one of the most popular and populated of all Valley communities. Because of this, Reseda's merchants provided bus service to transport shoppers throughout the busy downtown Reseda area. Reseda has its own park with a large duck pond. During the 50’s and 60’s, the pond had a boathouse where you could rent electric boats by the hour. The park also has lighted outdoor basketball and tennis courts, a lighted baseball diamond, a children’s play area, a community room, an outdoor, seasonal unheated pool, picnic tables and barbeque pits.